Virginia Trioli is back at News Breakfast on ABC next Monday. Lisa Millar has been co-hosting with Michael Rowland in her absence. The show has been scoring good ratings, including recently outranking Today in national figures, across its two channels. Wake up to intelligent and engaging news coverage, lively conversations and compelling guests.Virginia Trioli returns with Michael Rowland, Georgie Tunny and Nate Byrne for all the information you need to start the day. 6am Monday on ABC / ABC News. Virginia is a class act. Will be interesting if she will be in the mix as a the host of Q&A when Tony leaves. Will sorely miss Lisa Millar, but Virigina is a class of her own… Why is there no mention of Paul Kennedy in the press release? To clarify, not a press release but an EPG listing. Where’s she been? On holiday? Gonna miss them when daylight savings ends and Qld don’t get ABC Breakfast at 5:30am. So annoying for early birds who aren’t at home at 6:00am! That’s very disappointing . Not that I’ve got anything against Virginia, I just think Lisa and Michael are a good combo and clearly ratings are up because of this. 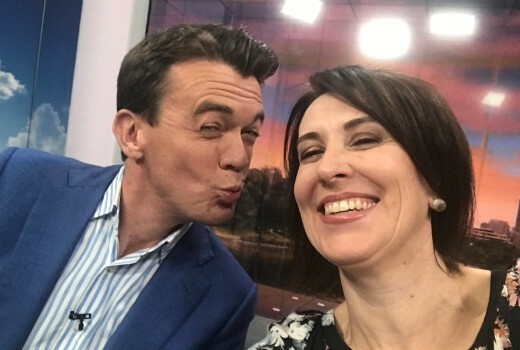 I like Lisa Millar….but Trioli is the business for me….on Breakfast…she and Rowland just gel…so well.